Today’s top story tells how society can benefit economically from food abundance by embracing the environment and biodiversity. This is the first in a series of articles about changing food production methods (see Food Systems). The big news today thought, is the impending IPCC scientific report that will inform governments around the world in their decision making when targeting greenhouse gases reductions. We have several stories around the importance of aiming for 1.5oC and the challenges the world faces. Speaking of challenges, there are also a couple of articles on the legislative actions that can be taken against governments when they don’t take action. 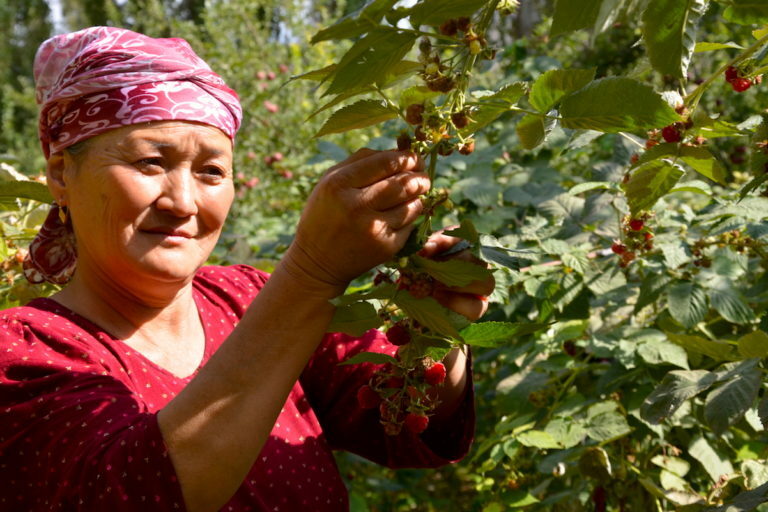 KYRGYZSTAN – In the arid Kyrgyz border region of Batken, farmers grow agroforestry gardens of pomegranate, peach, apple, apricot, and cherry trees which provide shade and moisture to intercropped vegetables and low fruit crops like strawberry and raspberry. Because irrigation water is limited, agroforestry allows farmers to grow many crops in close proximity, rather than monocrops of grain or hay as one sees in neighboring areas. Farmers enjoy diverse harvests for a longer period of time each year, from Spring to Autumn, and their forest-mimicking gardens are home to biodiversity too, like hedgehogs, hares, and lynx. Agroforestry also captures carbon dioxide from the air and stores it in branches, trunks, and soil, making it a useful solution to climate change, one which also boosts soil horizons, groundwater levels, and biodiversity. Farmer Inoyatkhon Nurdinova picks some of her raspberries, with intercropped fruit trees in the background. Image by Cholpon Uzakbaeva for Mongabay. Hundreds of scientists and government officials from more than 190 countries have been buzzing around a convention centre in the South Korean city of Incheon. They are trying to agree on the first official release of a report – the bit called the Summary for Policymakers – that pulls together all of what’s known about how the world might be affected once global warming gets to 1.5C… [This] morning, the summary document is expected to be released, and there will be a cascade of headlines around the world. AUSTRALIA – Australia has just had its driest September on record, and the second driest month ever: the only drier month was April 1902. The Bureau of Meteorology’s tropical cyclone outlook is out today. It’s predicting a weaker-than-normal tropical cyclone season this year but if one hits – and it’s likely one will – it’ll bring water to rain-starved soil that will soak it up and reduce the flooding risk. AUSTRALIA – A United States court has again rejected an appeal by the federal government to deny the right of children to sue the government for failing to act on climate change. The kids, who come from 10 states, form a group called Our Children’s Trust and range in age from 10 years to young adulthood. The children allege that the defendants’ actions and inactions have “so profoundly damaged our home planet that they threaten (our) fundamental constitutional rights to life and liberty”. As one 17-year-old said, “it is time for climate science to have its day in court”. In a similar case in the Netherlands in 2015 a court ruled that the Dutch government was negligent in failing to adopt policies mitigating global warming. The government was ordered to reduce emissions by 25 per cent within five years. The Australian government should now stand accused of the same negligence. USA – I was born after 9/11, so extensive airport security has always been a reality for me. So has the fact that life as we know it on this planet is coming to an end because of climate change, and that my generation will inherit a looming apocalyptic-scale disaster. My name is Jamie, I’m 16-years-old, I’m going into my junior year of high school, and I, along with 12 other young people, recently sued the State of Washington. Why? Because Governor Inslee and the whole state government is screwing over my generation. AUSTRALIA – The genus Acacia is Australia’s largest, containing nearly 1,000 different species. It includes our national floral emblem, the golden wattle, and is the source of the green and gold colours of many of our sporting teams. The variety of acacias is mind-boggling. There are many well-known small, short-lived species that thrive both in their natural habitats and in suburban gardens, where they are known for attracting insects and birds. There are species that survive in the arid inland as inconspicuous, stunted shrubs that are more than 200 years old, and there are also tall forest trees such as the blackwood, Acacia melanoxylon that can live for centuries. Skyrocketing global demand for commodities such as soybeans and palm oil is an unrelenting force driving tropical deforestation. To address the risks to climate stability posed by forest loss, corporate and government policies alike need to pivot from being part of the problem to part of the solution. Since the first Rio Earth Summit in 1992, the international community has celebrated the value of tropical forests as harbors for biological and cultural diversity. However, many people are under the mistaken impression that the fight to protect those forests has been won. To the contrary, tropical tree cover loss in 2017 was the second-highest on record, with an area the size of New Mexico cleared or burned — down only slightly from a peak in 2016. NEW ZEALAND – Scientists have estimated the costs of climate change for 10 years in New Zealand, and say it will increase. Studying adverse weather events from 2007-2017, NIWA found that climate change-related to floods and droughts have cost the New Zealand economy at least $120 million for privately-insured damages from floods and $720m for economic losses from droughts over the last 10 years. AUSTRALIA – When it comes to farming, change ensures long-term survival. That’s the case for two very different Tasmanian farms diversifying into alcohol production, particularly Lawrenny, a historic farm dating back to the 1800s. 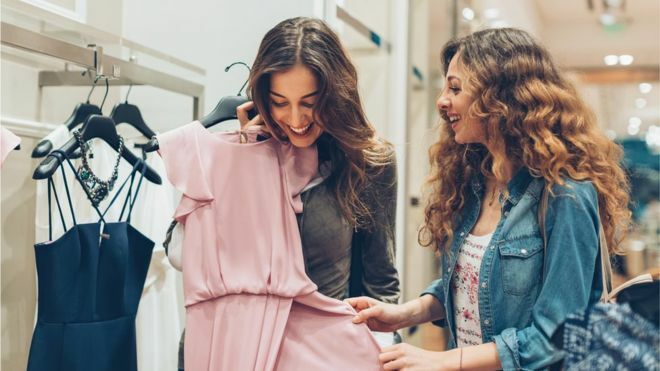 UK – Young people’s love of fast fashion is coming under the scrutiny of Britain’s law-makers. MPs say the fashion industry is a major source of the greenhouse gases that are overheating the planet. Discarded clothes are also piling up in landfill sites and fibre fragments are flowing into the sea when clothes are washed. The retailers admit more needs to be done, but say they are already working to reduce the impact of their products. Olivia Ahnemann only has to look at her backyard to see climate change happening. Born and raised in New Zealand and now living in Boulder, Colorado, she’s been watching summer days turn hotter, winters warming, snowpack decreasing, and the land beset by wildfires and flooding. This year, the state’s famous aspen trees turned bright yellow two weeks earlier than usual. As well as that, her parents, based in the Auckland suburb of St Heliers, send photos of themselves knee-deep in water when Tamaki Dr floods during storm surges and king tides. It’s all helped inform The Human Element, which will screen soon in Auckland and is available for the rest of New Zealand to watch online. It’s the latest environmental film the Emmy Award nominee has produced, and has a neat hook: it focuses on the classic four elements of earth, water, air, and fire – four different lenses through which to view climate change. UK – Kevin Rushby joined the crew aboard the Summer Rose fishing boat seeking insight into the state of our seas. 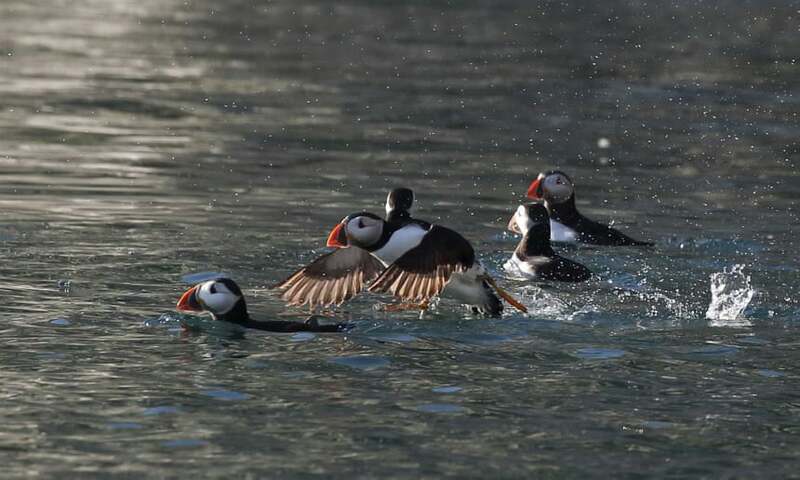 He found life hard for fishermen and marine creatures alike – but can conservation measures such as Michael Gove’s ‘blue belt’ help? Adapted from “Dirt to Soil: One Family’s Journey into Regenerative Agriculture” (Chelsea Green Publishing, 2018) by Gabe Brown. USA – I practiced the conventional production model of farming for many years. I chased higher yield when growing crops and more pounds when raising beef. Everywhere I turned, the message of increasing production was pounded into me. Magazines, newspapers, radio, universities, extension service, agricultural agencies, everywhere and everyone was telling me that I had to produce more “to feed the world.” Stacked GMO traits, hybrid grain varieties, foliar fertilizer, seed treatment, larger equipment. As I write this, I am watching my neighbors pull into a ﬁeld with three large combines, two grain carts and four semi tractor-trailers. My in-laws farmed for 35 years and never had any equipment larger than two single-axle grain trucks; the largest had a 16-foot box. My, how things have changed. AUSTRALIA – Most farmers prepare for dry periods by making hay and building grain stores in good times, and right now the overwhelming conversation, away from metropolitan centres, is the angst over the media coverage of farmers as victims. As the National Farmers Federation president, Fiona Simson, said recently, the “broken-down, handout-dependent farmer profile” does not represent the majority. The most persistent conversation in this drought is a greater willingness to discuss good management practices and a resentment of any form of government reward for poor management practice. NEW ZEALAND – Legumes have come under the spotlight in recent years as farmers look to these powerhouse plants to drive production, particularly in dryland and hill country environments. Legumes have nodules on the roots that contain nitrogen-fixing bacteria. They are able to fix high rates of nitrogen and use water efficiently, and are becoming increasingly important as the environmentally sound way of introducing nitrogen to pastures.